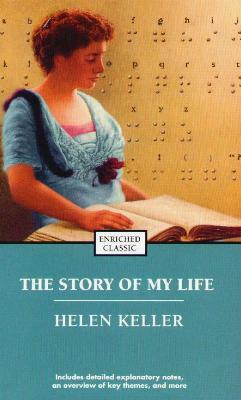 Helen Keller is known to many people from their school days. Or, to some who saw the movie "The Miracle Worker". Perhaps even through her published work. However we came to know about this remarkable woman, it's worth going into detail about her extraordinary life. It's almost impossible for those who see and hear to imagine what it must have been like for her not to be able to do either. She lost her sight and hearing at just nineteen months old, after an illness. Through the teachings of Anne Sullivan, Helen Keller learned to learn and grow, and then some! Keller was born in 1880 in Alabama and died at the age of 87 in Connecticut - her life between these dates is quite astonishing. Imagine, if you can, being a woman around the 1900s, and an outspoken and determined one at that, as well as not being able to hear or see - can you? It's extremely difficult and one has to recognize Ms. Keller's achievements as nothing short of staggeringly brilliant. Everyone should read this book, if for no other reason than to realize just how darn fortunate we are, and how grateful we should be for our own lives, where at least we can hear or see, or both. There is also a section of notes pertaining to this book - a summary of her life: Critical Excerpts, and Questions for Discussion and Suggestions for the Interested Reader. A neat and informative package. This is the first time I've read Helen Keller, and what a great way to begin getting to know her and her work. I found it quite incredible how she managed to "see" so much around her, learn so many languages, learn to speak, write, and travel around. Publishers Simon & Schuster have put out a series of these "Enriched Classics" where there are many more very interesting classic writers' works to be found, such as George Bernard Shaw, Walt Whitman, Herman Melville, Mark Twain (Helen Keller knew him), James Joyce and more. Conclusion - Important and very interesting reading. Her learning accomplishments are astounding.